There are lots of things we can try and do in the classroom to inspire the use of descriptive language and get the children to think creatively about words. 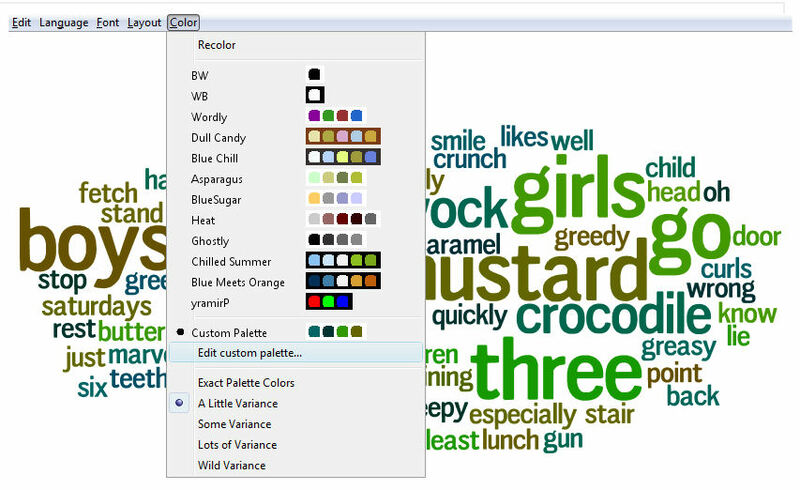 Much has been posted about using web based applications such as Wordle in a number of different ways. There are a number of uses for it listed at the excellent Ideas to Inspire website and the ever wonderful Tim Rylands blogged about using it creatively just recently. it’s a tool you can use in all sorts of ways. Pop it on the IWB and use it as a word bank. Get pupils to create one with all the things they remember about a recent topic (easy way to see how much they remember). Make a word mat. The list goes on. But enough of Wordle! There’s so much other great stuff out there that we could be using to. For younger pupils (although older ones like it to) you can make pictures out of Word Art words and letters or import an image into PowerPoint or Publisher and use the word art and interesting fonts to help create a shape poem. 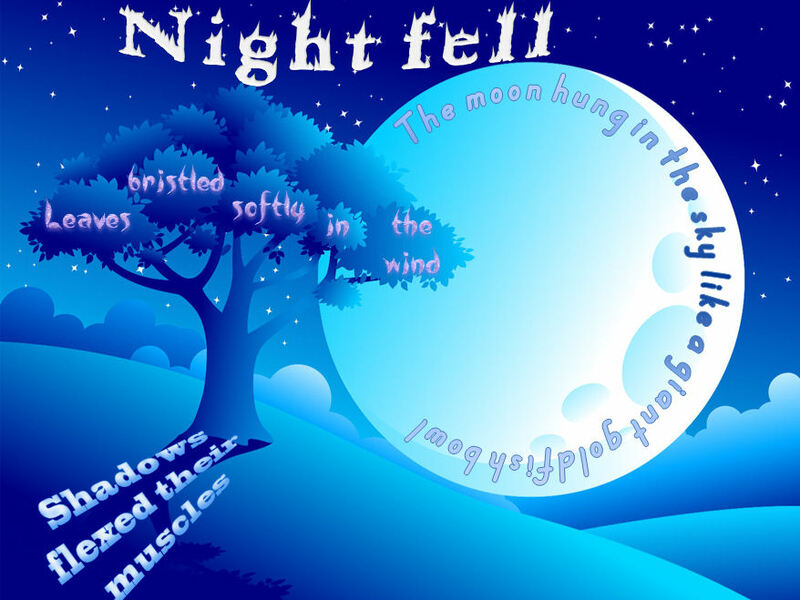 For the one example above (created in PowerPoint 2007 but a similar idea can be created using 2003) I downloaded and installed free fonts that I felt would work well – Sweetleaf for the leaves and one called cheap fire for ‘Night fell’. 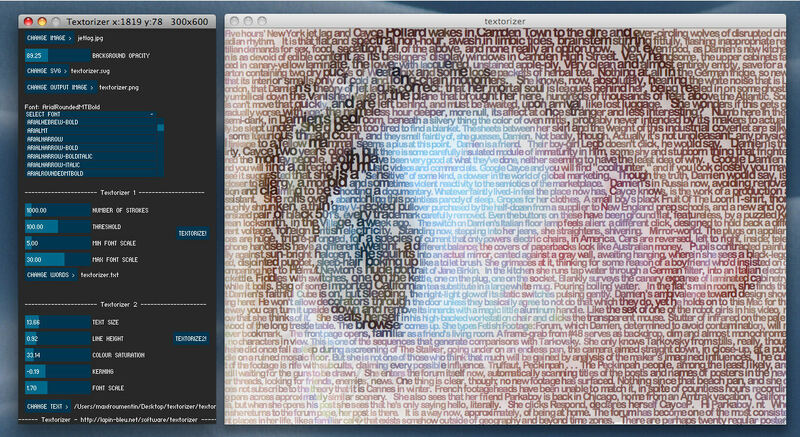 Phrases and words were just rotated and transformed to fit the image. My final offering for today is Textorizer – there’s a version that runs online or you can download the application to run on your own computer. 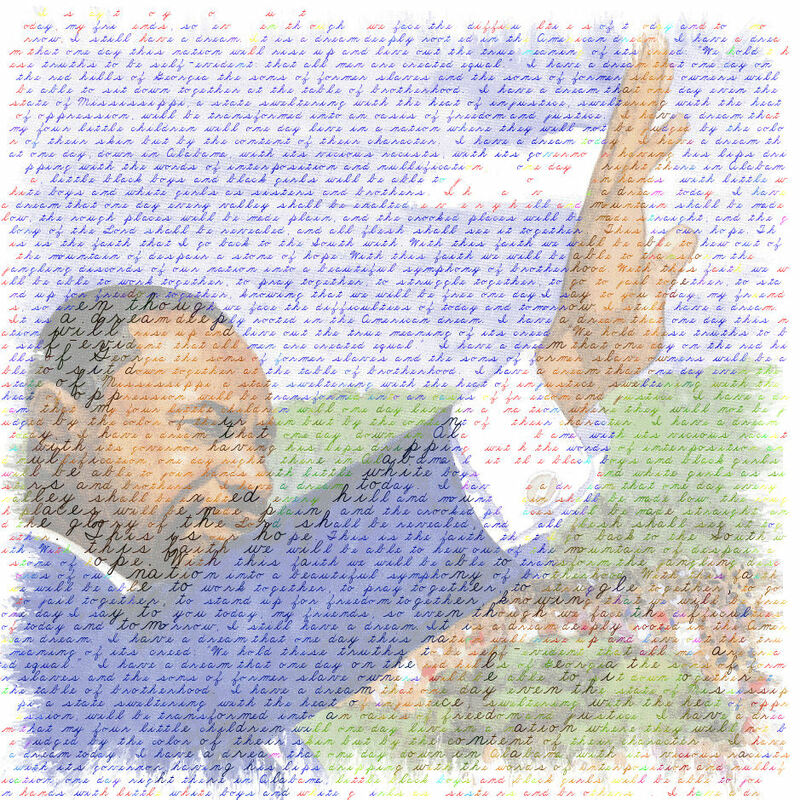 It works quite simply – you choose your image paste in you text and create. You have options to change the size of font, font used, how faded the image is behind the writing in the menu on the left hand side and the website really helps you get started. I think the results look amazing – fabulous blown up on a display. I envisage using it in a similar way to Tim Ryland’s previously mentioned Wordle idea but I’m sure you can think of other things to do with it – just have a go! 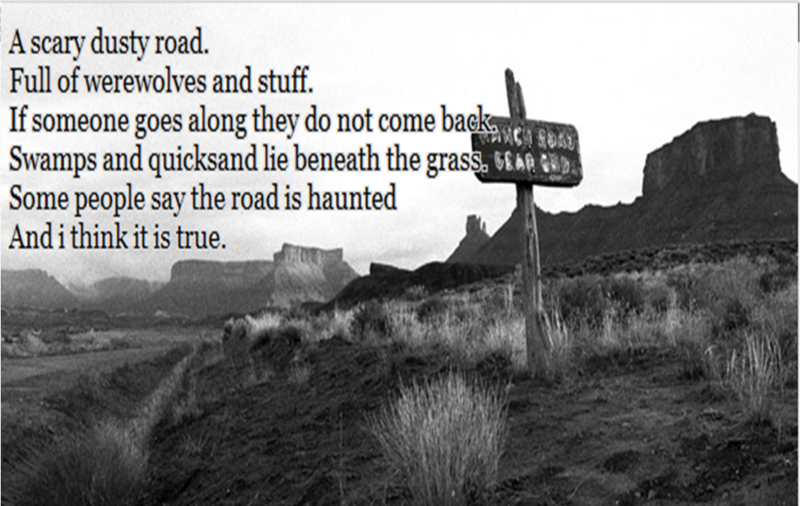 If you want to have a bit of fun creating poetry with your pupils then why not try creating a PicLit? 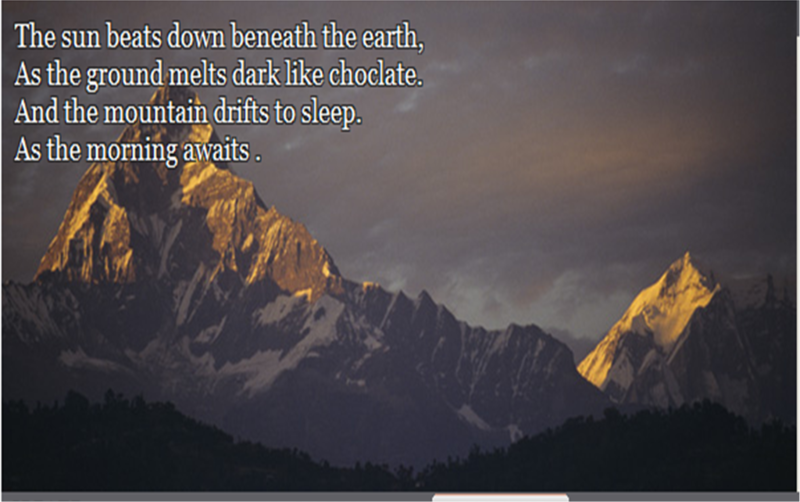 The PicLits website has a fantastic selection of high quality and unusual images that can be used to inspire writing. The website has two options: you can either use the drag and drop facility (as shown in the photo above), which has plenty of themed vocabulary for each image, or you can write in freestyle mode (this still has a few suggestions to help the children along). Some children can be very resistant to creative writing but ICT is often a good way to get them motivated. Start off having a general talk about poetry:it dosen’t need to involve a lot of writing so can be a good opener! Make sure you check for suitable images from the site beforehand. You could work as a large group together: initially looking at the drag and drop option but then progressing onto writing freestyle. Think about which words could be used to describe certain parts of the image (e.g. How does the snow look? – white, powdery, fluffy etc. 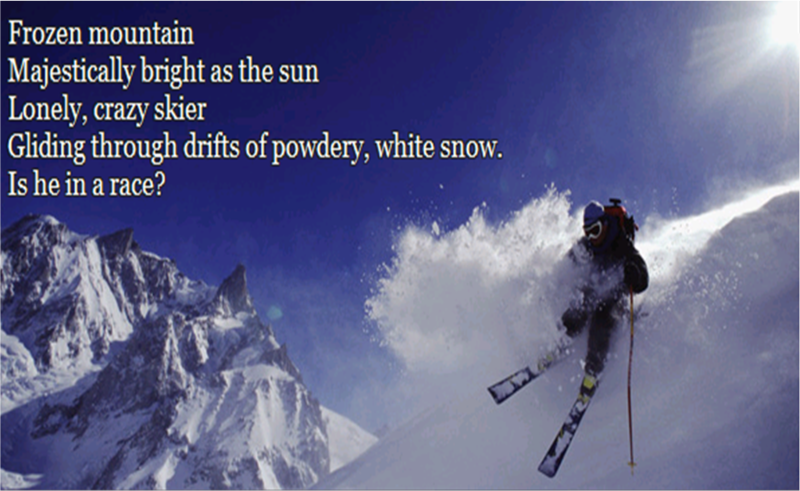 What can we say about the skier? He’s alone, male, brave, fearless etc.) and, if desired, note the words liked on small white boards. After creating a whole group effort split into smaller groups (of 2 or 3 pupils each) or individuals and see what the children can come up with. To save work you can use print screen and paste the image with added text into a PowerPoint. PicLit does allow you to set up an account and save the created content and embed it into different sites but this is probably unnecessary, although it’s something that could be considered. The website has many good features although, in a perfect world, a more child friendly font in a larger size could further enhance the activity and make it more inclusive. Thinking on this afterwards I thought it might be a good idea to create some type on PowerPoints, with similarly fabulous images or videos on the slides alongside a list of suggested vocabulary, although this is still just a thought in my head at the moment. You’ll just have to watch this space!